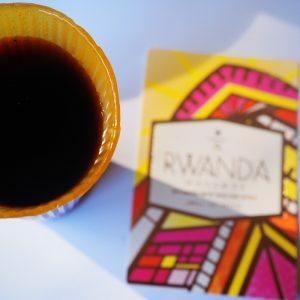 2015 Rwanda cup of excellence second place winner Rwanda Mahembe. Vibrant flavors of orange, peach and honey. So sweet it’s like eating candy! Served in Loliware’s yuzu citrus cup….